Google a list of the all-time greatest TV Westerns and you will rightly find titles like Gunsmoke, Maverick, Bonanza and Wagon Train. 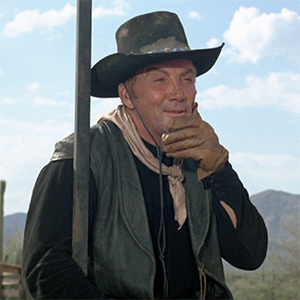 Often overlooked in this conversation is The High Chaparral. With its breathtaking desert scenery, heartthrob cast, gritty action and gripping family drama, the show had it all. Even the colorful opening credits and sweeping theme song were a cut above the rest. 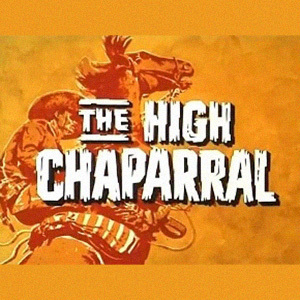 Hitting the airwaves on September 10, 1967, The High Chaparral sat in a sweet spot between the mythic TV Westerns of the 1950s and the dustier realism seen in Revisionist Western films like Butch Cassidy and the Sundance Kid and The Outlaw Josey Wales. 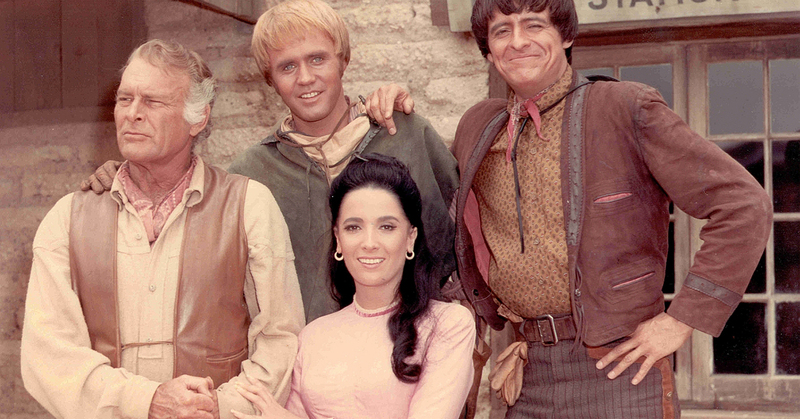 Running for four seasons, The High Chaparral featured perhaps the largest cast of Latino and Latina actors of the era, including two lead roles. With the series celebrating a 50th anniversary, let's take a look at some things you might not know about The High Chaparral. Leif Erickson's real name is William Wycliffe Anderson. With a name so close to famed 10th-century Norse explorer Leif Erikson, this Leif Erickson was likely confused for a Scandinavian. 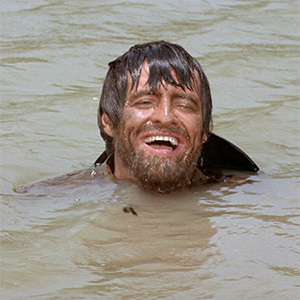 After all, the grizzled, 6' 4" actor had a bit of a Viking air about him. In actuality, William Wycliffe Anderson was born in California, and his resume included comedies and musicals. The Hollywood veteran had worked alongside everyone from Abbott and Costello to Greta Garbo, and he was once married to the tragic starlet Frances Farmer. 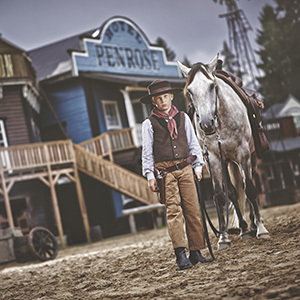 There's a theme park in Sweden called High Chaparral — and it's older than the TV show. Speaking of Scandinavia, the High Chaparral Theme Park opened in southern Sweden in 1966, a full year before the TV show began. Still in operation today, this family vacation spot offers an immersive Old West experience and impressive cosplay. Yes, even the Swedes love a good cowboy. The show is from the creator of Bonanza. 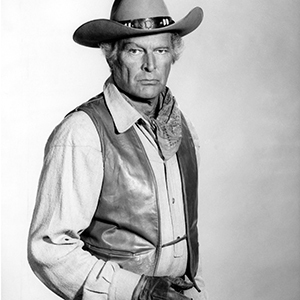 David Dortort had created Bonanza in 1959. Eventually, he left that pioneering series to fully devote himself to his latest endeavor, The High Chaparral. He handed the reins over to underlings and associates for the last five seasons of Bonanza. Henry Darrow had recently changed his name, and nearly lost his part because of it. Up until the mid-'60s, Henry had been billing himself by his given name, Henry Delgado. He was born Enrique Tomás Delgado, and spent his formative adolescent years in Puerto Rico. However, the actor had grown tired of being typecast as a Mexican. So, he changed his surname to Darrow. 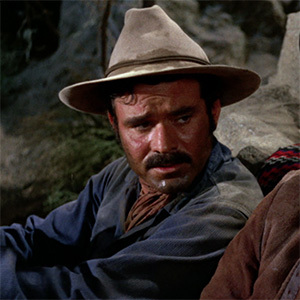 The switch nearly cost him the beloved role of Manolito Montoya on The High Chaparral. Creator David Dortort had taken note of Delgado in a play called The Wonderful Ice-Cream Suit, and had written Manolito with the actor in mind. However, when it came time to cast the role, Delgado could not be found. He was now going by Darrow. 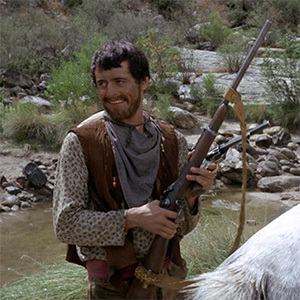 Because of the confusion, the gig nearly went to an Italian actor, Tony Franciosa. Fortunately, Darrow was located, mere weeks before filming began. Mark Slade recorded a country album. As Billy Blue Cannon, 28-year-old Mark Slade became the dreamboat idol of the show. With his blond mop top and icy eyes, "Blue Boy" brought in a sizable female audience. Thus, like most screen idols of the era, he was given a chance to become a pop star. 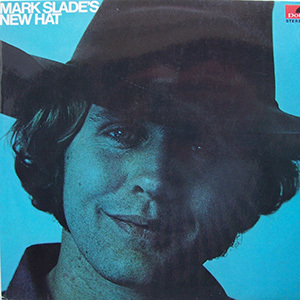 In 1969, he released the album Mark Slade's New Hat, on which he sang fluffy country tunes like "Skip a Rope." Naturally, the LP had a blue cover. That's just smart marketing. Mark Slade was also a cartoonist. Slade, who coyly described himself at the time as "the oldest teenager on television," also showed his skills with a pen. In the pages of the teenybopper magazine Outasite, the actor showed off his cartooning skills, sketching Blue Boy… and the Monkees. Take a look. Slade later created a comic strip called Howard and Friends with Danny Arnold, the co-creator of Barney Miller. 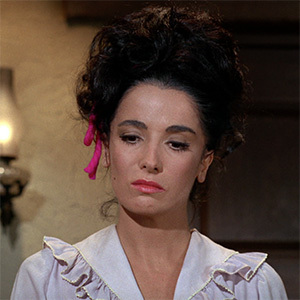 Linda Cristal had somewhat retired from acting before taking her role. Argentina-born Linda Cristal (real name Marta Victoria Moya Burges — yes, actors changed their names a lot back then) had somewhat walked away from acting to raise her two sons. She selectively took only bit roles here and there. In 1964, had appeared in an episode of Voyage to the Bottom of the Sea, "The City Beneath the Sea," which coincidentally co-starred Mark Slade. The juicy role of the spirited Victoria Montoya lured her back into full-time work. Bob Hoy was also a legendary stuntman. A former Marine, Bob Hoy worked as a stunt double for Tony Curtis, Charles Bronson, Tyrone Power, David Janssen and Telly Savalas. He appeared in more than 60 films and 75 television shows, with no role as significant as ranch hand Joe Butler on The High Chaparral. Hoy also worked behind the camera, as a second-unit director on Zorro. A chaparral is a type of plant community. Perhaps you found yourself asking, "Just what is a chaparral exactly?" No shame. It is a shrubland that arises in areas with wet winters and scorching, dry summers. Commonly seen covering the hills in Southern California, the plant community consists of buckwheat, sagebrush, live oak and manzanita. It was filmed in Arizona, often in 100-degree heat. The chaparral landscape seen on the show is no Hollywood backlot. 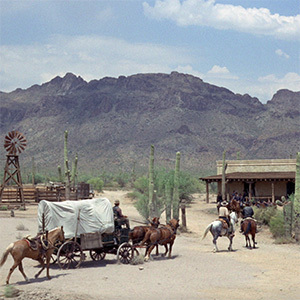 The exterior filming was done in Old Tucson in Arizona and in the nearby Saguaro National Park. Filming during the summers could be rather hot, needless to say. Temperatures routinely reached into the triple digits. Cameron Mitchell had a unique way of beating the heat. Wearing all black perhaps seemed like a poor choice considering the climate. But Buck Cannon certainly looked cool in his dark threads, even if he was cooking underneath. Well, on set, the black costume proved to be advantageous for actor Cameron Mitchell. According to Dortort, Mitchell would climb into water troughs to cool off between takes. His dark clothing could hide the dampness on camera.